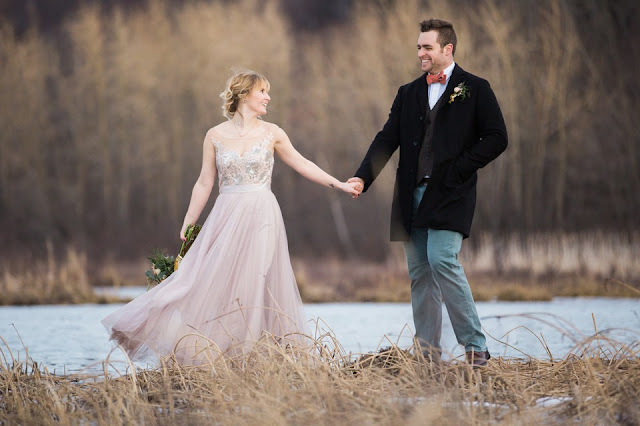 This February, I had the remarkable opportunity to shoot Merry & Gabe's wedding alongside one of the most phenomenal photographers I have ever known, Katie DeLorme. 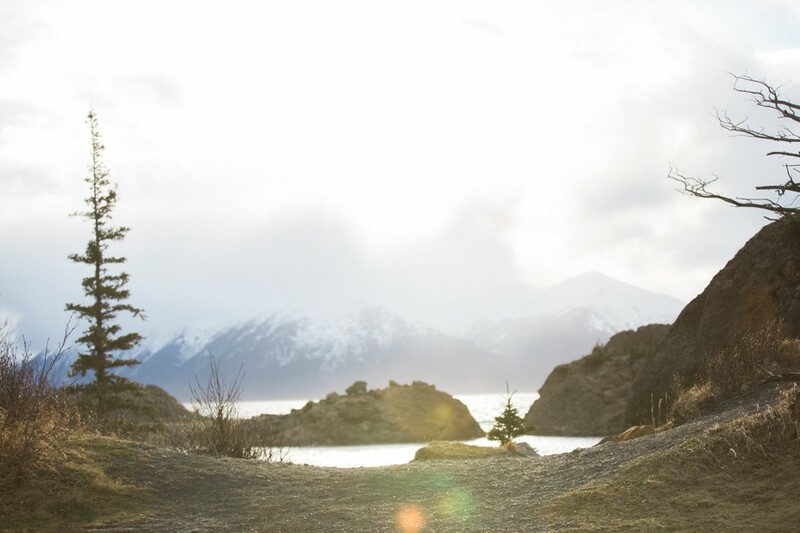 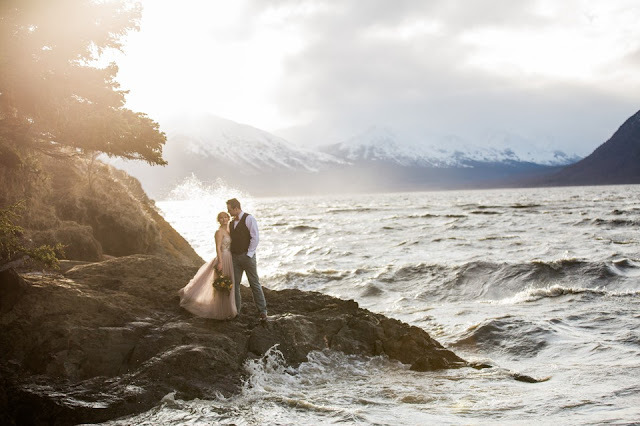 Merry & Gabe chose to have their wedding at sunrise and thankfully Alaska's sunrise is at 9:30 in the morning which made the light not only incredible but achievable. 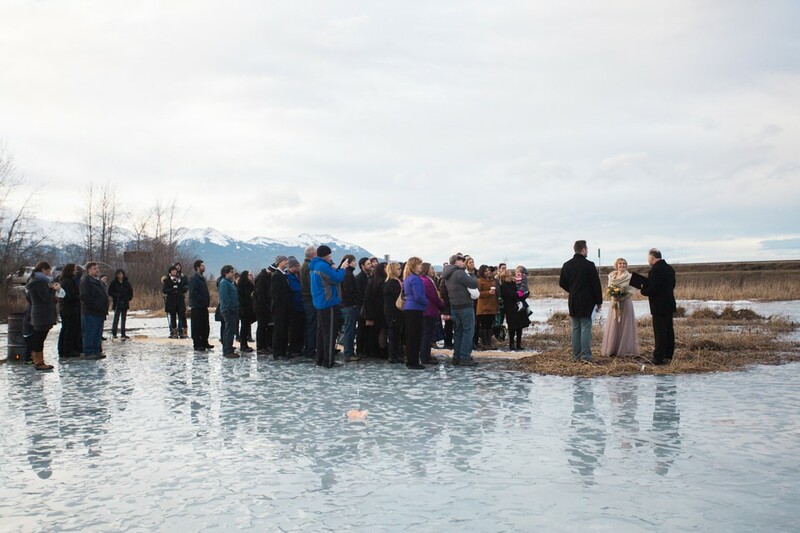 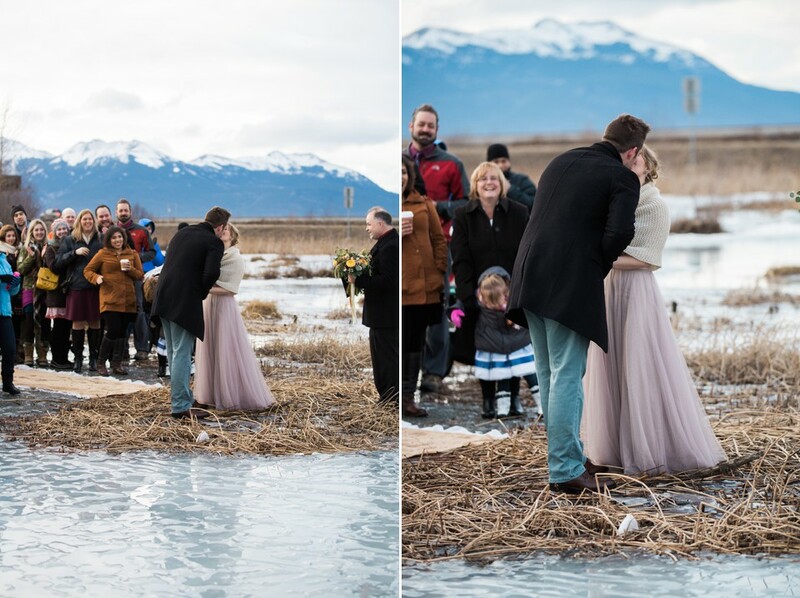 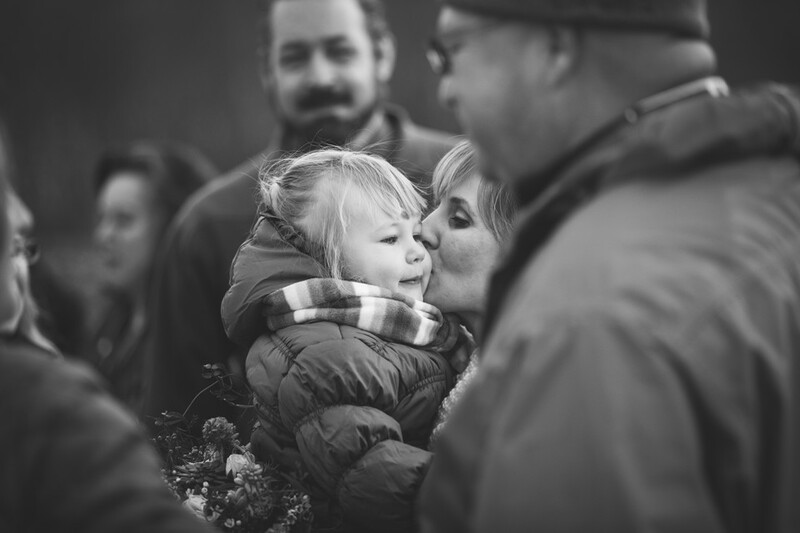 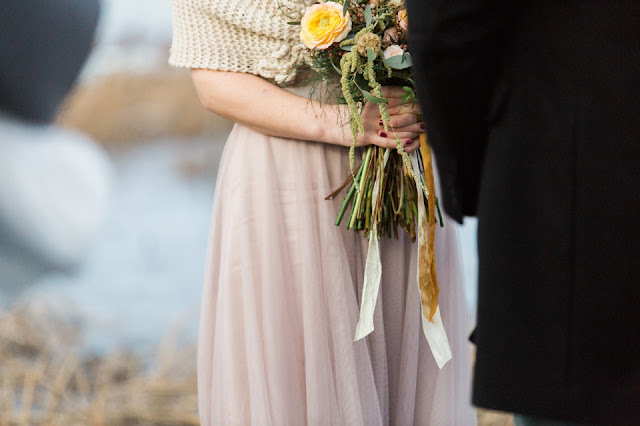 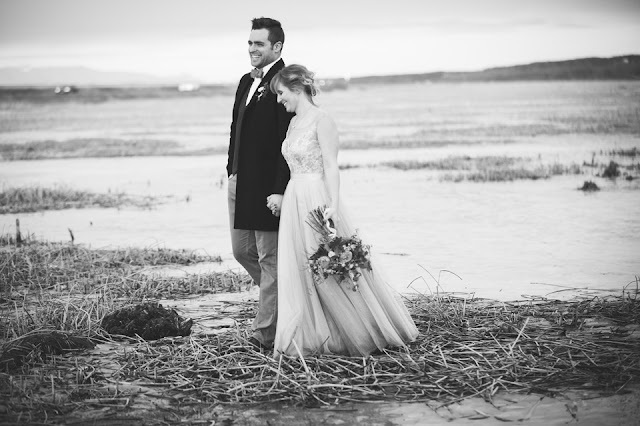 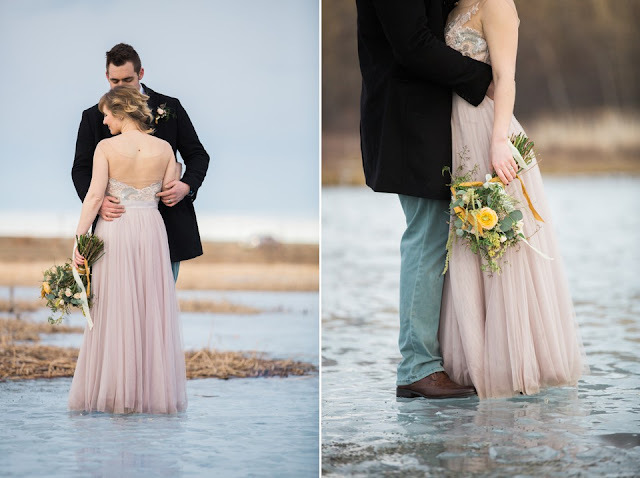 Merry & Gabe chose to get married on a frozen marsh south of Anchorage, surrounded by friends and family. 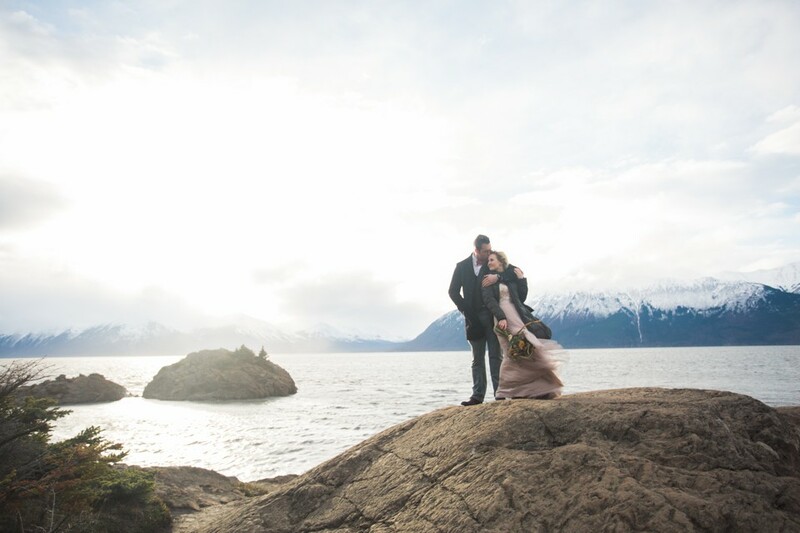 Those they loved the most lined the aisle that led Merry to Gabe and as they read personalized poetry and tear-inducing vows, promising both a sense of stability and adventure, became husband and wife beneath the clear Alaska morning sky. 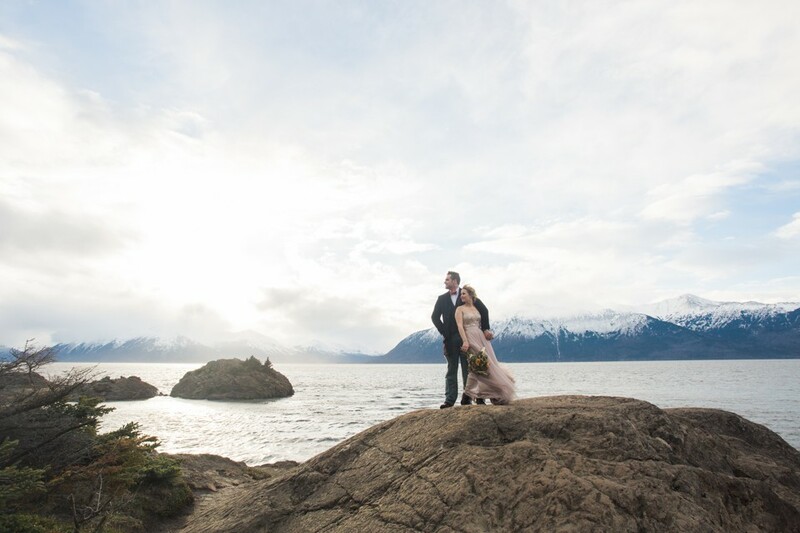 After the ceremony we headed to Beluga Point for portraits. 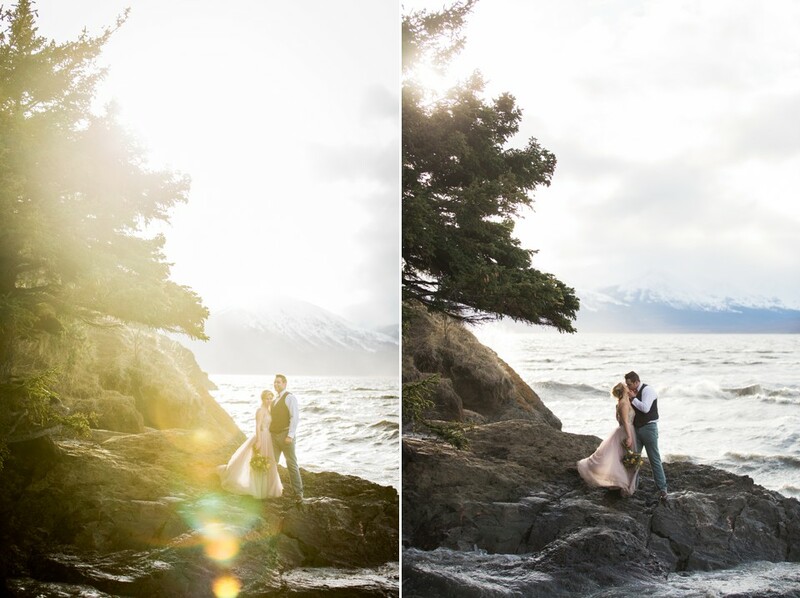 These two were surrounded by what is undoubtedly the most stunning light I have ever been witness to. 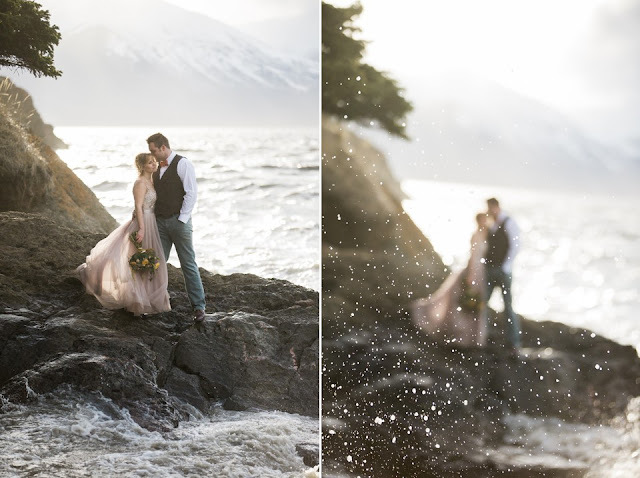 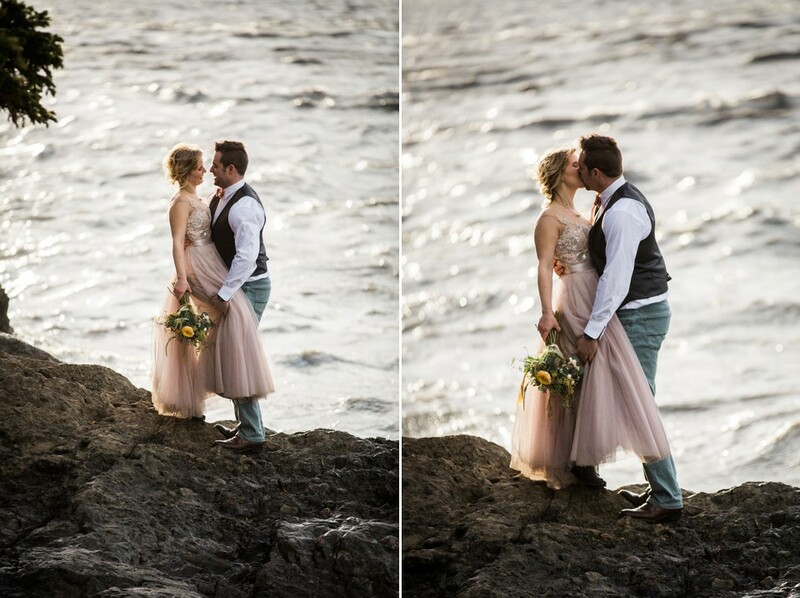 The wind howled and temps dropped below freezing but Merry & Gabe were in their own world, together, surrounded by the rushing wind and crashing waves and still unwaveringly safe. 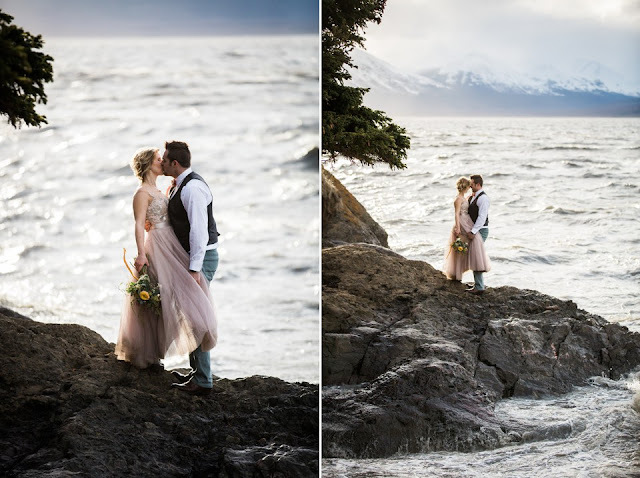 They were darling adventurers and completely at home all at the same time. 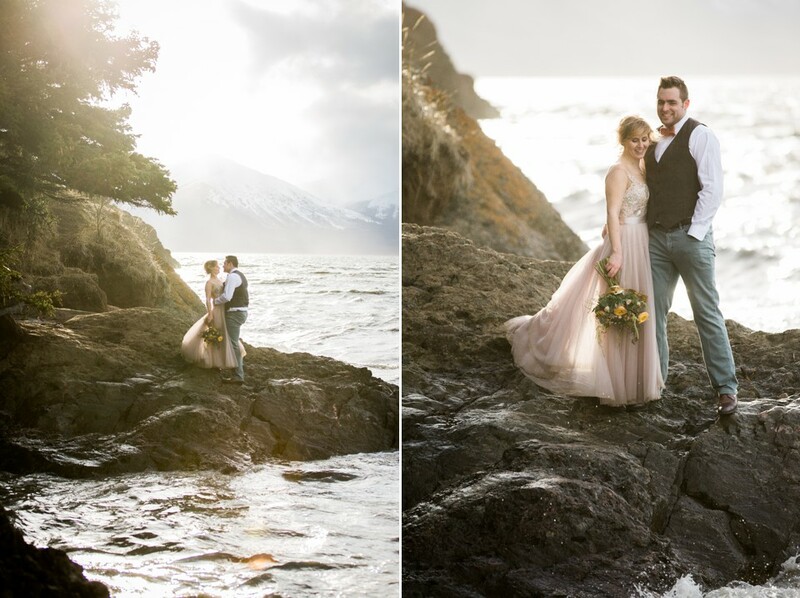 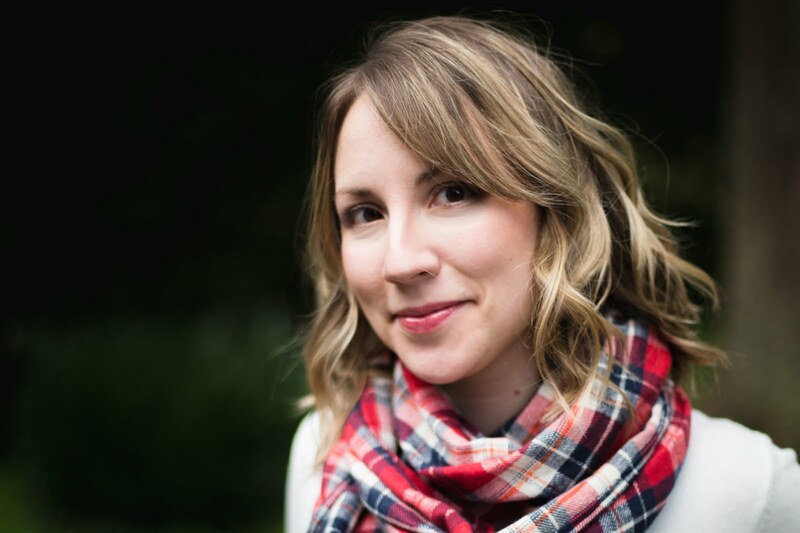 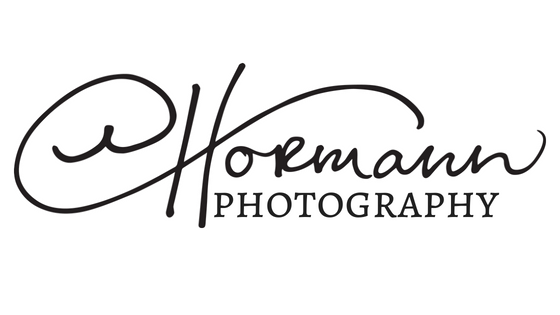 Thank you a million times over to Katie DeLorme for your invitation to work alongside you, to watch you create stunning photos and exquisite florals. Thank you for introducing me to Alaska and these wonderful people. 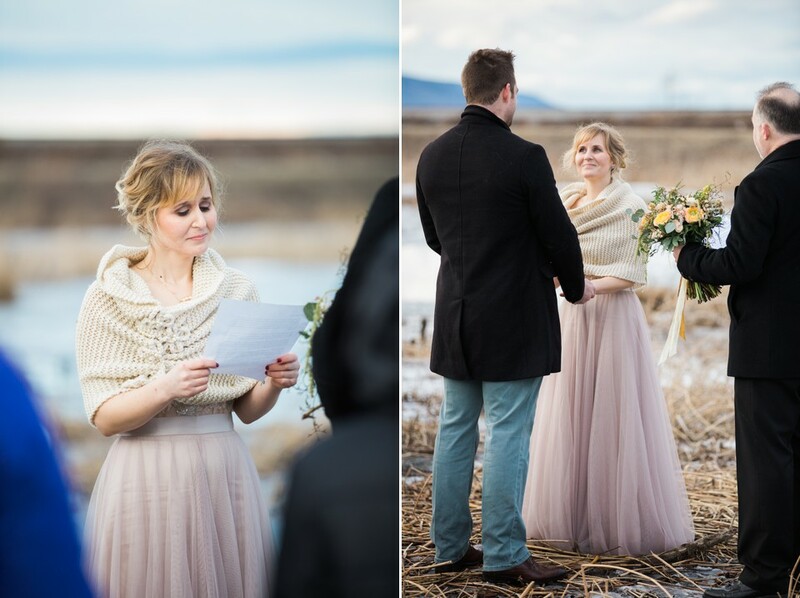 Thank you for bringing my friend Erica on as your assistant because introducing you two was a highlight in my book. 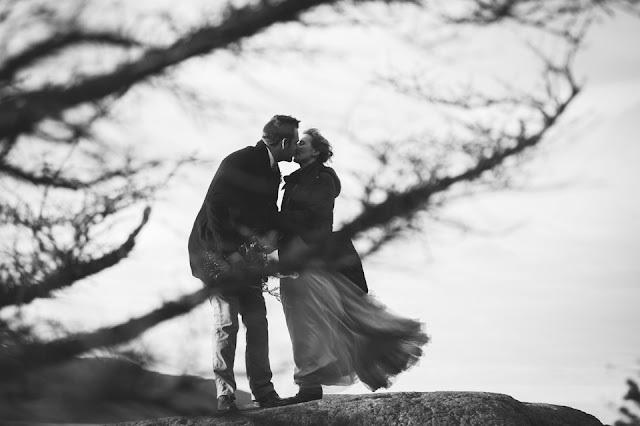 Thank you most for being my friend, honest, open and completely silly and willing to take big chances on little ol' me. 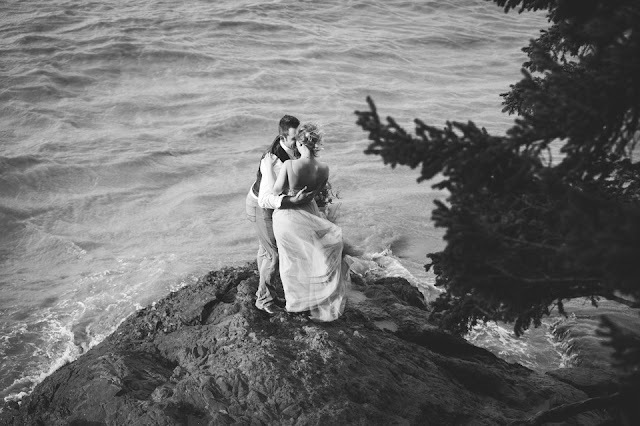 Merry & Gabe, I wish the best God has for you in your marriage. 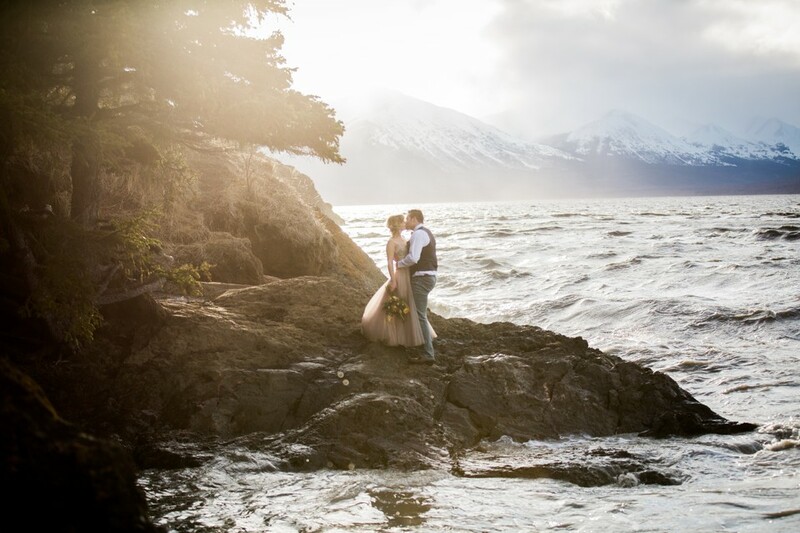 Alaska, you have my heart and wildest dreams, I hope to see you again soon.